As promised in the comments section, I bring you some wonderful news. 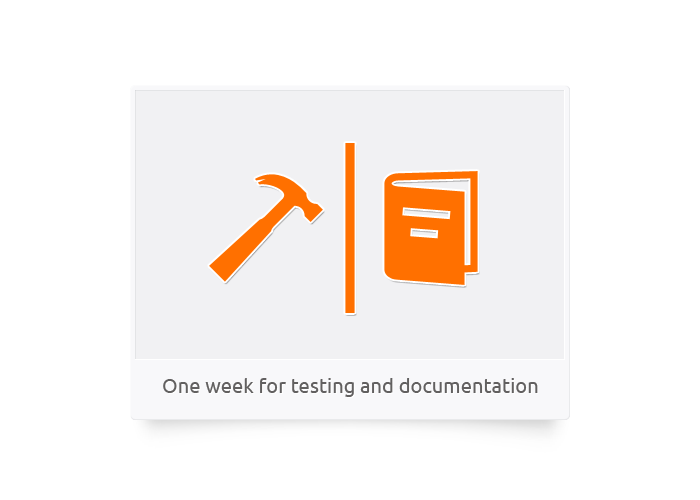 To benefit both end-users and our development team, we are switching to a new Release Scheduling System. Allow me to demonstrate it with a few helpful pictures first. Up until recently our releases were a combination of scheduled fresh features with all the bug fixes picked up along the way. This system looks nice on paper, but in reality it often led to unexpected delays. Imagine that we have set out to introduce a New Cool Tool for network Admins. In the past our development team would start working on it, all the while fixing up all the reported issues. But then, instead of releasing quick patches in demand, we had to wait until said New Cool Tool is absolutely ready and can be bundled together with the fixes. Sometimes it would take weeks or even months to be sure the New Cool Tool is actually cool enough for prime-time. Needless to say, the extended waiting period can be grueling, thus we decided to change the situation dramatically. As mentioned in one of the prior posts, the switch to Mercurial DVCS gives us more flexibility. 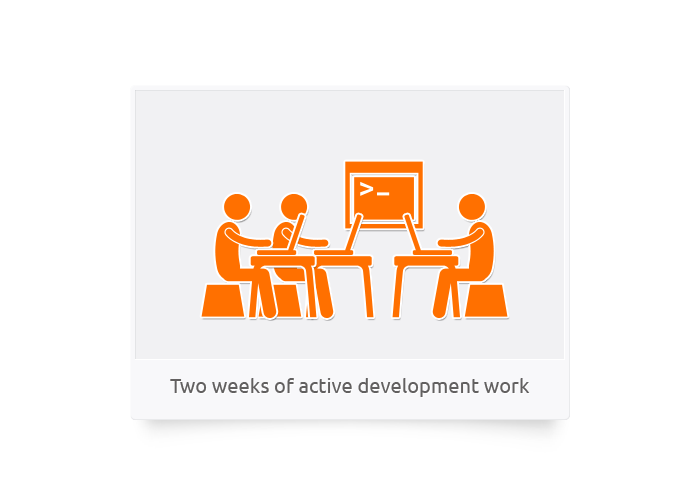 Namely we now have two development branches in place – Dev and Stable. Dev is reserved for big features, like the aforementioned New Cool Tool, while Stable will cover all the bug fixes and minor improvements. Let me explain how the new system will work. The end-users will no longer have to wait for the new release in the dark. They will know for sure that the new release will be here every month, bringing along all the Stable fixes that are ready by the deadline. In the meantime the Oxwall team will be busy with two weeks of active development work, and a week of testing and compiling documentation. If, during this time, the New Cool Tool will appear to be ready in Dev, it will also end up in the release, along with the fixes. 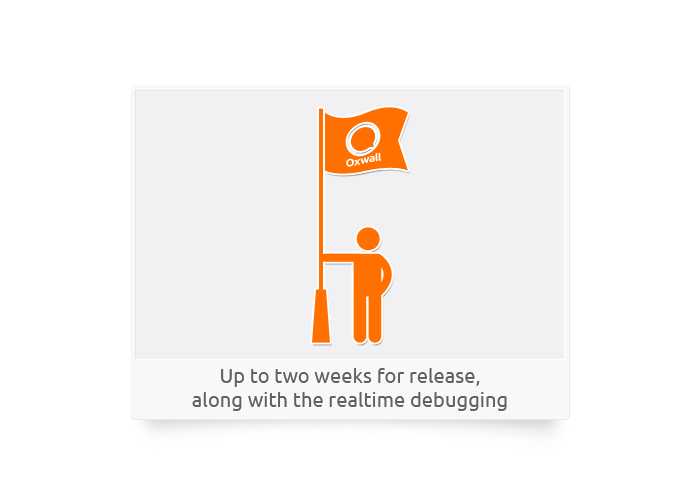 Here at Oxwall we believe the new system will further improve the software development dynamics, and reinforce our commitment to producing the best professional user-oriented social network builder out there. This entry was posted in Community, Development, News, Release and tagged bugfix, mercurial, news by Zima. Bookmark the permalink. This sounds good to me. You guys seem to know what you’re doing and it makes perfect sense to have a system in place. Keep up the good works folks – it is truly appreciated, if not by all of us then certainly by me! Sounds like this make sence. Still hoping to hear and see a new report on “Groups” – the update experience has been great and all is working fine for the exception of a few minor things that I don’t consider a biggy, but what is dragging is word on Groups – any headway on that? Well, I can’t promise you a full report just yet, but here is what I do know. Tweaking Groups is the next major step for Oxwall, the one we will take right after releasing 1.2.4. One more thing, in view of spammers, will there ever be a means to block certain IP addresses? Yes, I know that now days, people can use phones or tablets, but it would still be nice to block the spammers that register – I get like 2 a week trying to get in. The team talked about it, but decided that blocking individual IP addresses will not solve the bigger problem. Still, guys are really open to any suggestions that can result in effective protection against spammers. i m wall to know build own web server to host my website.I had installed lamp on ubuntu server i m not able to see image and theme pls help me.to install it on my local server. See if this is of any help – Installation Manual. Thanks for your prompt reply but i m not able to install it properly still its giving error.Themes and pic could not be displayed. Sorry to hear that. There’s only one solution than – report it in the forum and the team will look into it. I received an software newsletter saying that Wall.fm has been updated once more, how long before this effects Oxwall softwre folk like us? Don’t worry, I have an announcement ready. It is the matter of hours I believe. Using the Internet Explorer 8, I’m having trouble using Newsfeed and Wall to attach the image files. The icon where you must click to attach the images, it is as it appears in this image below. I wanted to know how to fix this error. The problem only happens in internet explorer, the other function normally. This will be fixed in the upcoming release. Is there a FRIEND INVITE plugin yet ? I also cannot upload avatars .. It keeps on telling me to look for an image to upload. Also cannot get colors to change or opload my own logo. Friends Invite is currently unavailbale but is being worked on, due to the API changes on Facebook, Gmail, Yahoo, etc. The rest of the issues are solvable, report them on the forum.